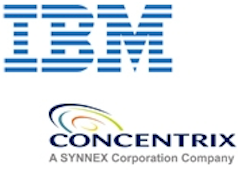 Concentrix's investors, SYNNEX, were clearly so impressed with IBM's performance to reach the Winner's Circle for customer experience management, they wanted a piece of the action for themselves. So what does this mean - wasn't IBM such a stalwart call center BPO provider? And wasn't Concentrix a small player? In short, IBM is exiting the customer services call center arena, which began with its purchase of Daksh in 2004. It will focus on its core business of providing the enabling technology services and tools for customer experience management. Concentrix increases its footprint massively and becomes one of the significant providers in the customer experience management industry. The big question, now, is whether Concentix can maintain IBM’s vaunted position in the Winner's Circle for customer experience management services. IBM has stated that it wishes to focus on its higher-value BPO businesses, namely finance and accounting, supply chain management, procurement, HR, and mortgage services, with specific focus on its analytics and Smarter Workforce initiatives. During the analyst call, IBM has stated it wants to move more into cloud-based service provision, where it is steadily spending its way through its $20 billion war-chest. HfS sees Concentrix quickly becoming the new “IBM of contact center services”. This deal represents a significant play for Concentrix, increasing its footprint from 5,000 to 45,000 in one full swoop. Concentrix has strong customer lifecycle management capabilities, and, combined with IBM’s enterprise CEM clients, experienced delivery organization and leadership, strong account management team and technology integration capabilities, Concentrix will be a significant company to watch in all things customer care. So many of the leading BPOs started off in the call center business, before evolving their offerings across the back office into HR, finance, supply chain and industry specific areas. IBM was no exception, making a concerted play with Daksh nine years ago. But - today - the firm's leadership clearly sees limited value (and profit margin) continuing to grow its footprints in CEM, despite an encouraging series of client wins and high-end customer marketing focus in recent years. IBM wants to focus elsewhere... especially with its dedication to the cloud. Our question, simply, is where IBM's focus will be in another couple of years. Call center alone is completely commodotized, and it's understandable why IBM decided it was time to exit, while retaining its technology enablement opportunities. Will the same happen eventually with finance or HR? Will IBM tire of processing paychecks and invoices, like it has done with taking customer service calls? With significant client investments, such as Cemex (F&A) and Kraft (HR), it doesn’t appear that the firm will do a 180 anytime soon, but with this decision to exit CEM, it does raise doubts as to the company’s long term focus outside of technology services and software. Xy, I can completely understand your feelings, but dear always remember , company doesn't makes people's .. It's people's who makes companies like ibm .. Definitely cocentrix will get the name soon.. Had good memories with IBM ..but life is all about moving forward Don't know about u but I'm happy and proud that I have started my career with company .. Doesn't matter .. Ibm has sold us out but still I have ibm in heart.. Very well said my dear friend Kuldeep. I'm too proud to be an IBMer! I'm sure Concentrix will also become like IBM but yet again, we had given out heart to IBM and IBM to us, it's quite obvious that we'll not feel good for this change. As you said, like is all about moving forward! Let's move forward making Concentrix as a Brand like IBM or better. @XY: You're too practical man. Not done! Customer Experience | TCELab LLC | Big Data. Bright Ideas. Loyal Customers.